Hanging chairs are great. If you prefer to sit than lay, then a hanging chair is for you. Hanging chairs generally only fit one person comfortably, although they are good for reading stories to small kids. The other benefit of hanging chairs is that they have a smaller footprint. 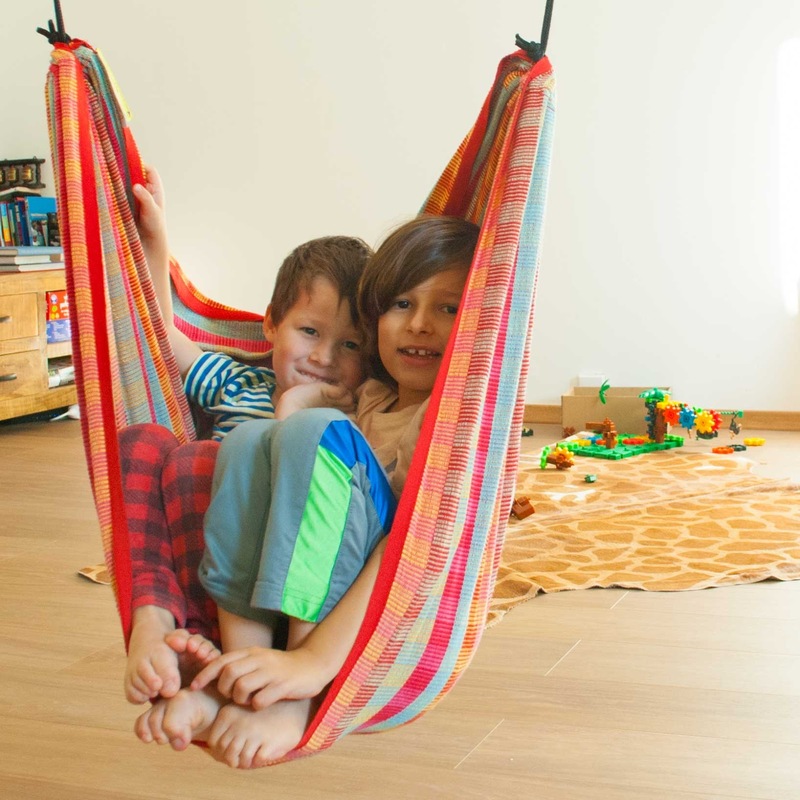 You only need about 120 x 120cm floor space to comfortably have a hanging chair indoors. 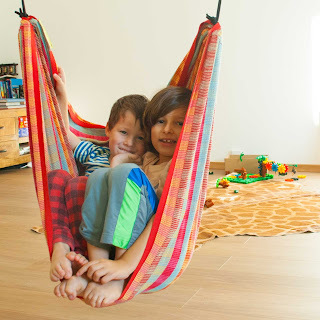 For a hammock it is about 350cm x 140cm. Kids love hanging chairs. Our kids without fail wake up in the morning and go and have a quick swing in their hanging chairs. Hanging chairs seem to encourage reading too.. for both adults and kids. Become a HammockHeaven.co.uk affiliate and you can earn 15% from any sales of hammocks you generate for us. Great for digital nomads and anyone else looking to add some extra income streams with very little effort. It is so simple. You sign up, then a special link is generated that will look something like this, but with a number unique to you on the end. Then you use this link to drive customers to our site, and if anyone buys within 60 days of clicking that link, then you will get 15% of the total (not including the tax/vat). We will send the money to you via Paypal or Bitcoin. To generate sales, you can do as little as sharing an affiliate link via your Facebook or Twitter friends, or if you want to generate an ongoing income you could make a whole website with links that refer to us. Or you could write a blog post about our hammocks and spread it around the web. The more effort you invest, the more you will make. If you are an expert affiliate marketeer and you have any suggestions how we can improve, please contact us.